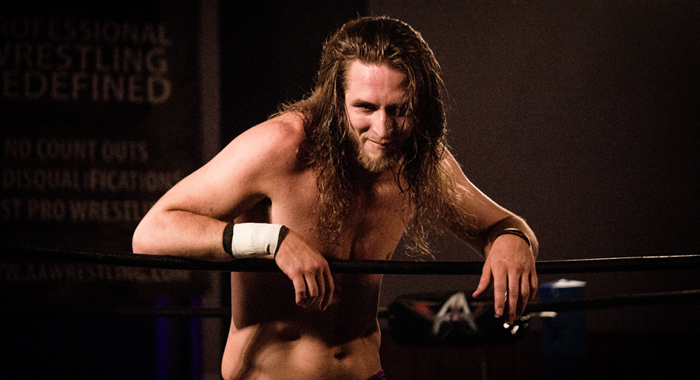 This afternoon I had the pleasure of sitting down with the “Lone Star” Curt Stallion, an emerging name on the U.S. independent scene that may be on the verge of a major breakout as we head into 2019. The born-and-bred Texan was trained by former ROH World Champion and current New Japan Pro Wrestling star Michael Elgin, marrying a blend of speed and technical excellence with a deep love for hard-hitting Japanese Strong-Style wrestling. 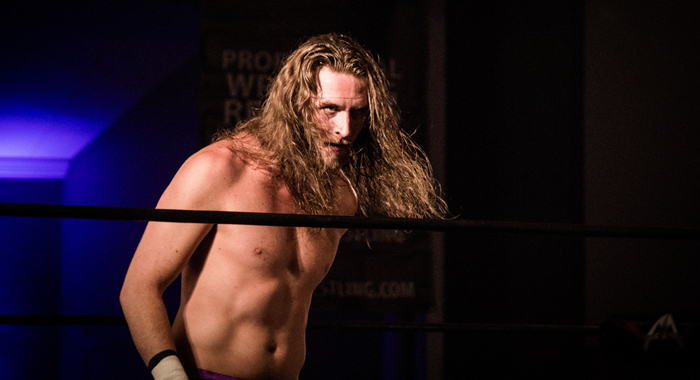 Stallion competed in the 2017 Ring of Honor Top Prospects tournament making it to the semifinal round, and has since become a mainstay on the midwest indie scene; a regular for Chicago’s AAW promotion and the current reigning Glory Pro Crown of Glory Champion. He will also be making his debut for EVOLVE Wrestling this December for two big events in New York. I want to thank Curt, as always, for taking the time to sit down with me and discuss his upcoming EVOLVE debut, as well as a myriad of topics including his love for Disney movies, wanting to work the 2019 BOLA tournament, training at the New Japan Dojo in Los Angles and more! SO, TELL ME ABOUT HOW THIS EVOLVE BOOKING CAME TO BE? IS THAT HOW YOU FOUND OUT? ON WWE.COM? DO YOU SEE THIS AS A WAY TO POTENTIALLY SLINGSHOT YOU INTO WWE DOWN THE LINE, OR IS THIS JUST ANOTHER STOP ON THE JOURNEY? IT SEEMS LIKE THERE ALMOST ENDLESS POSSIBILITIES IN WRESTLING RIGHT NOW, AND SO MANY PLACES YOU COULD END UP. IS THERE ANYTHING YOU REALLY WANT TO DO IN 2019? PWG’s BATTLE OF LOS ANGELES? YOU RECENTLY SPENT SOME TIME TRAINING AT THE NJPW DOJO IN CALIFORNIA. I KNOW SHIBATA IS ONE OF YOUR PERSONAL HEROES, SO WHAT WAS THAT EXPERIENCE LIKE FOR YOU? HOW DID YOU ACTUALLY MAKE IT TO THE DOJO IN THE FIRST PLACE? I KNOW YOU LIVE THE JAPANESE STRONG-STYLE OF WRESTLING. I’VE SEEN YOU CONSTANTLY STUDYING THOSE MATCHES. 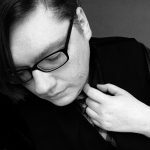 HAVE YOU EVER CONSIDERED PACKING UP AND MOVING EVERYTHING TO JAPAN, AND JUST TRYING TO MAKE SOMETHING HAPPEN? TOTALLY UNRELATED QUESTION. PEOPLE MIGHT NOT KNOW THIS ABOUT YOU, BUT YOU’RE A MASSIVE FAN OF DISNEY MOVIES. SO WITH ALL THESE REMAKES COMING OUT I HAVE TO ASK — LIVE ACTION REMAKES, YES OR NO? DESERT ISLAND QUESTION. IF YOU COULD ONLY TAKE ONE DISNEY MOVIE WITH YOU WHAT WOULD IT BE AND WHY? FINAL QUESTION, AND IT’S ONE I’M ASKING EVERYONE AS 2018 COMES TO A CLOSE. BESIDES YOURSELF, WHO IS YOUR PICK FOR WRESTLER OF THE YEAR, AND IF YOU HAD TO PICK ONE FAVORITE MATCH YOU SAW LIVE WHAT WOULD YOU RECOMMEND PEOPLE CHECK OUT?